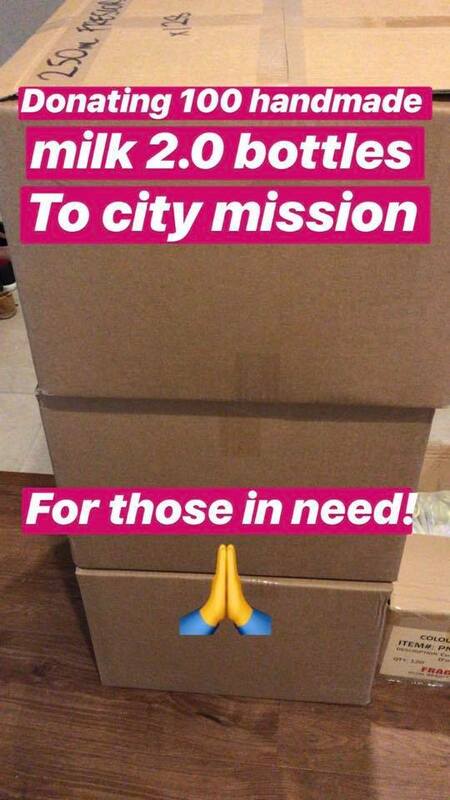 Milk 2.0 working with city mission to donate 100 handmade healthy and delicious plant-based milk bottles to those in need. Milk 2.0 is obsessed with Plant based Milks, Kristina founder of Milk 2.0 spends virtually every second of the day thinking how she can evolve dairy to plant based, alongside revenue for the country. Milk 2.0 is an early start startup that aspires to dream big, without forgetting the reality of day to day challenges with the business and life, and one of the things she deeply cares a lot about is to helping others. According to Kristina "what disturbs me the most is that we have so many kiwis that need hand for everyday needs, so we decided to take action and do something ourselves, knowing that it's never easy for an early stage startup to dedicate any resource or time on external efforts, still i decided to donate handmade 100 bottles of healthy and delicious Milk 2.0 bottles over to City Mission Auckland"
At Milk 2.0, we believe in giving back to the community that supports us – it’s a big part of who we are and what we do. We reached out to City mission and they generously accepted our offer of our donation of 100 bottles of handmade Milk 2.0 bottles on the 19th Dec 2018, Milks will be delivered at Eden Park - Gate Q. This is Milk 2.0's first donating and we would love to continue to support this cause every year. We understand seasonal festivities that celebrate mass consumption, but it's worth thinking of those who are less well off.